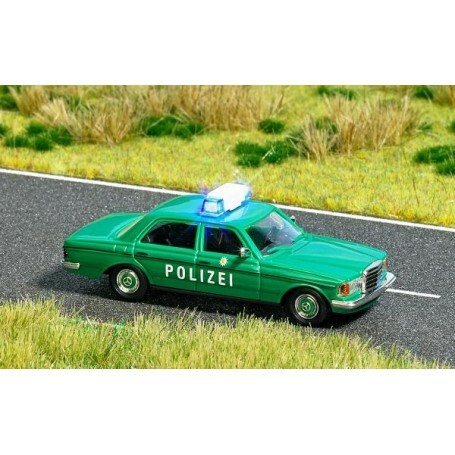 Mercedes Benz W123 'Polizei' med belysning. With blue light bar (with blue LEDs) and electronic flasher. Ready to use for connection to transformer 14-16 V (AC or DC).